NewsCopter 7 was over the scene in Brooklyn. 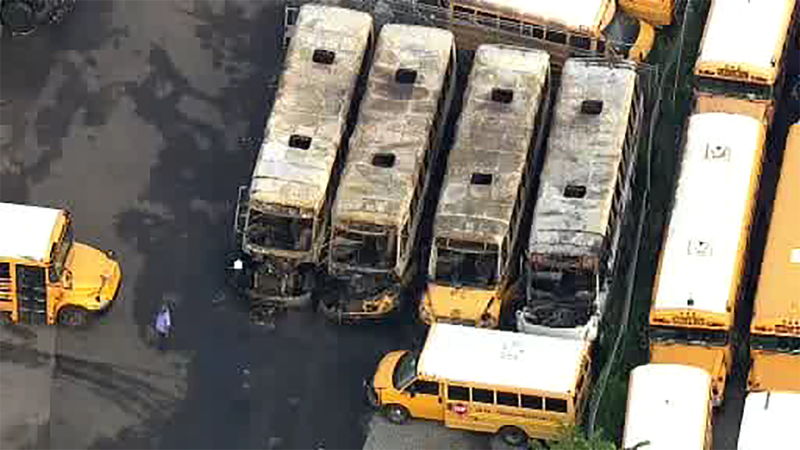 MILL BASIN, Brooklyn (WABC) -- Five buses caught fire while parked in a bus depot in Brooklyn early Thursday. Firefighters responded to Seth Transportation yard on Strickland Avenue in the Mill Basin section to find the school buses smoking just after 3 a.m. The fires on the buses, which were parked in the yard, were quickly put out and no injuries were reported. The bus yard was closed at the time.